José Maria da Fonseca just released the Ripanço , a wine from the Alentejo region, produced in the José de Sousa winery in Reguengos de Monsaraz. The name of this wine Ripanço, represents a tecnhique that we use in very small percentage which dates back to roman times and was traditionally used in southern Portugal for mannually destemming the grapes using a table, ripanço table, with wooden rods. Although we use this technique in a very small percentage, is enough to obtain a very soft and elegant wine without the harsh tannins of the stems. The winery stands in the centre of the small town of Reguengos de Monsaraz, located in the heart of the Alentejo province in southern Portugal. It combines tradition and history with state-of the-art technology, and it’s the exact blend of old and new – a constant in the long history of José Maria da Fonseca – that makes José de Sousa so sublime, a blend of skilled craftsmanship and modernity. Thus, you will encounter a traditional winery (built below ground level to maintain cool temperatures year-round), with two lagares (open tanks) for treading the grapes, 114 clay amphorae for fermentation, a ripanço table and a modern winery equipped with 44 stainless steel tanks and technology for making part of the red wine. Red fruits, violets, blueberries, walnuts, minty, vanilla. Good fruit, good acidity, balanced. 6 Months in french and american new oak. Should be served at a temperature of 16/18ºC, with red meat or cheese. Domingos Soares Franco, enologist and vice-president, is the youngest of the two representatives of the sixth generation of the family that manages José Maria da Fonseca. He studied in Davis, California, and started working at José Maria da Fonseca in the 1980s. Since then, he has introduced several changes into the wines produced by this company, becoming one of the most innovative new-generation enologists in Portugal. As an enologist, his first major influence was undoubtedly that of his father Fernando Soares Franco. 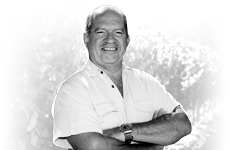 His uncle, António Porto Soares Franco, a man of great vision, also influences him tremendously, among other important achievements, he deserves to be recognized as the creator of Lancers, one of the best known Portuguese wines around the world and José Maria da Fonseca’s first international "best seller".